Copper: 100% high polishm enameled, and antiqued varieties. Doubly sealed to prevent any skim sensitivites. Nobium: Extremely strong, durable, and comes in a variety of colours. Does not cause irritation or allergy. * All metals and alloys used in my designs are Nickel and Lead free. If ever a description is unclear, or a customs change is required, please contact me at any time. Large natural state gems/cabs/beads up to 52mm on average. Each Silver and Gold, including plate and filled, item will be packaged with a non-tarnish slip. This small black card should be kept with the item while storing to prevent tarnish. Simple polishing and tarnish clothes can be used on all precious metal designs. 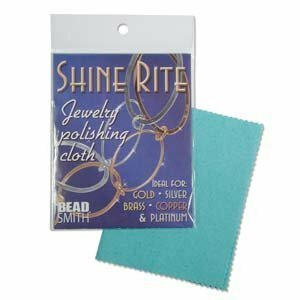 Polishing clothes are available for purchase upon request and/or will be included in specific Sterling and Gold purchases. care should be taken in daily wear. Cleaning gemstones or jewellery beads is somewhat like cleaning gold vermeil chains and findings: you want to do the bare minimum to get the job done. Cleaning gemstones or jewellery beads is a part of care, and if you go overboard with chemicals, scrubbing, or ultrasonic cleaners, you run the risk of damaging the very thing you're trying to protect! In the event that the dry rub isn't enough, a mild soapy solution should be your next resort to clean your gemstone jewellery or jewellery beads. Mix some lukewarm (never hot) water with a little bit of gentle, non anti-bacterial dish soap, and soak your gemstone jewellery or jewellery beads in the solution for a few minutes. This should loosen up grime and dirt from your gemstone jewellery or jewellery beads, and you can then use a cloth to continue the lather and scrub away bad spots. If you think more friction is in order, soak your gemstone jewellery or jewellery beads longer and use a soft-bristled toothbrush to lather the surface of the stone in gentle circular motions. Finally, give your gemstone jewellery or jewellery beads a cool, thorough rinse, and pat dry with a cotton cloth. Voila! Gleaming. About 99% of the time, the above method should be more than adequate in restoring shine and lustre to your gemstone jewellery or jewellery beads. If not, you can make a slightly more abrasive solution with six parts water to one part ammonia, and use that instead of the soapy water. You may also consider buying an ultrasonic cleaner. Despite increasingly affordable prices and assurances of safe, gentle cleaning, I would advise against using such machines on gemstone jewellery. Some gemstones respond poorly to ultrasonic treatment (opal, turquoise, and emerald to name a few), and you should definitely never use it for anything organic like pearls, wooden beads, shell, or coral. Furthermore, even a gemstone which is thought to be resistant to this kind of cleaning may have had minor cracks filled with oil (a very common practice known as polymer impregnation) which may deteriorate in an ultrasonic machine. This means that your gemstones' invisible, patched-over cracks will become increasingly visible cleaning after cleaning. The good news is that you really shouldn't need one of those machines anyway, as soapy water and ammonia solution are a virtually unstoppable tag team. Another good thing about the soapy method is that since it is also safe for most metals that bear your gemstones, like sterling silver and gold vermeil, you shouldn't need to worry about having to use two cleaning methods for one piece of jewellery.